Any part of the pizza box soiled by food residue or grease is not recyclable and can contaminate other clean paper and cardboard. 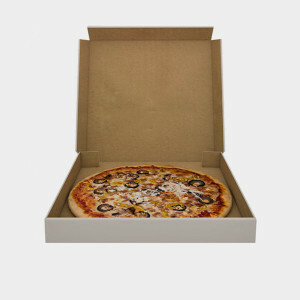 A clean pizza box can be recycled with cardboard, so cut away all soiled portions, or just recycle the top half. Frozen pizza box aren’t recyclable because they have a wax coating that contaminates paper recycling. Find out more.